The aerovator concept has both advantages and disadvantages in comparison to the space elevator. 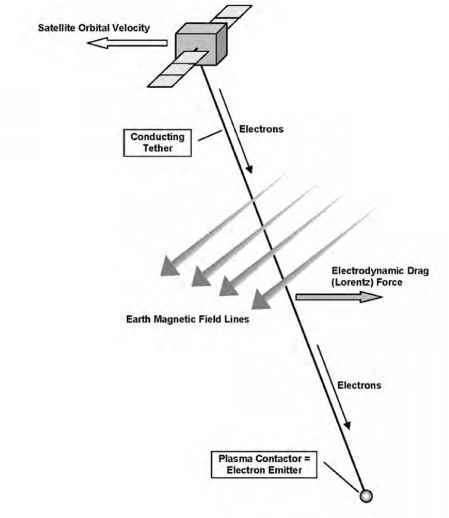 An important advantage is that the aerovator does not require a countermass in space. Moreover, the aerovator ribbon length would be on the order of a 1000 km (620 miles), while the space elevator needs to be at least 60 times longer (and maybe much more, depending on the type of countermass used). The space elevator needs to be deployed from space, and thus requires that nearly all equipment involved be launched into space ahead of time, while the aerovator can be reeled out from Earth. Also, the space elevator needs to be carefully positioned over the equator, while the aerovator's hub in principle can be located anywhere. The space elevator reaches far beyond the atmosphere and therefore runs the risk of being hit and damaged by satellites, space debris, and micrometeoroids. Conversely, it also presents a risk for active spacecraft whose orbits it intersects. Although the aerovator covers a greater area than the space elevator, because it rotates in a 2000-km-diameter (1200-mile-diameter) circle, it reaches only to the edge of the atmosphere. There are no satellites there, and the risk of being hit by debris and meteors is relatively low due to the aerodynamic drag that quickly removes them from the area. Payloads being transported up a space elevator will take several days or longer to reach low Earth orbit and higher, while a payload freely moving along the aerovator can reach its tip in less than an hour, and thus reach any orbit in a couple of hours at most. The shorter travel time may also be more suited to the launch of crewed spacecraft. On the other hand, payloads being launched by the aerovator will be exposed to acceleration levels of up to 5g (the rotational acceleration felt at the aerovator's tip), while on the space elevator this can be kept to a steady 1g, equivalent to the payload's weight on Earth. Payloads climbing up the space elevator need a drive train, probably with power being transmitted by powerful laser beams. On the aerovator, payloads are propelled by centrifugal force and may only need some active propulsion and power close to the hub, where the slope may be too steep to overcome by centrifugal force alone. However, because of this centrifugal force, it is very difficult to bring down anything from far up the aerovator back to Earth. For the space elevator this is a relatively simple procedure that requires only brakes. Moreover, the Internet group that invented the aerovator calculated that the tensile strength of the aerovator tether material would need to be on the order of 5 to 10 gigapascal, meaning that each square centimeter of ribbon cross section should be able to withstand a pulling force of 500,000 to 1,000,000 newtons. The lower limit of this range is equivalent to hanging a weight of 50,000 kg on a wire with a diameter of just over half a centimeter (110,000 pounds on a 0.22-inch wire), or more than 50 cars on a shoestring. This is quite something, but the space elevator tether material would need a tensile strength no less than an order of magnitude higher, something like putting 1000 cars on the shoestring. No tether materials with these kinds of tensile strengths yet exist, but it would be somewhat less difficult to reach the required material properties for the aerovator than for the space elevator. Concerning the types of orbits that can be reached, there is no clear winner. The space elevator goes up all the way to GEO (36,000 km or 22,000 miles), and payloads released there have exactly the right orbital velocity for that altitude, and so do not need a velocity boost. Payloads detached at 47,000 km (29,000 miles) will have enough speed to escape Earth's gravity and move into interplanetary orbits. However, satellites detached from below GEO altitudes will move too slowly to stay in a circular orbit, and need a rocket stage that gives them several additional kilometers per second of velocity. For very low orbits the main benefit of a launch from the space elevator is the release above the atmosphere, because in terms of velocity the gain is very limited (only 0.5 km/s on the 7.8 km/s required, or 0.3 mile/s on 4.8 miles/s). The aerovator can launch satellites directly into low orbits, but to reach GEO the payloads need several kilometers per second of additional velocity; 1 to 2 km per second (0.5 to 1.5 miles per second) in the case of a free-moving payload release or about 4 km per second (2.5 miles per second) in the case of a "grabbing" payload (distributed over two propulsion boosts—a first one to reach GEO altitude, then a second to attain a circular orbit). A clear disadvantage of the aerovator is that it needs the equivalent of five Boeing 747 airplanes (each with four engines) to constantly pull it along, while the space elevator will need no more than maybe some short-duration propulsion to move out of the way of chunks of orbital space debris. Another disadvantage is that the aerovator will require the mastering of very complex dynamics, including hypersonic aerodynamics, and thus is much harder to capture in mathematical computer models than the stable, bridge-like space elevator. All in all, it appears that the aerovator will be less expensive to build than the space elevator, but will cost more to operate due to the fleet of tug planes it requires. The designers think that the aerovator will be more economical because it should be able to launch more cargo in a specific time frame, and travel time to orbit is shorter. However, at present, in the very early conceptual design phases of the space elevator and the aerovator, it is extremely difficult to predict the size of the market, developmental costs, and launch costs. It is possible that there would even be a market for both the aerovator and the space elevator.